Need a healthy option for on-the-go breakfast or snacks? 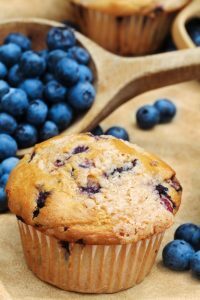 Here are some delicious muffins packed with loads of nutritional content while remaining gluten free, vegan, and with very little sweetener. Preheat oven to 350° F. Line a muffin tin with liners or spray with nonstick spray. (I sprayed the muffin liners too, just to be safe! Pour the wet mixture into the dry, adding in the “flax egg” mixture too, and mix until well combined, don’t over mix!